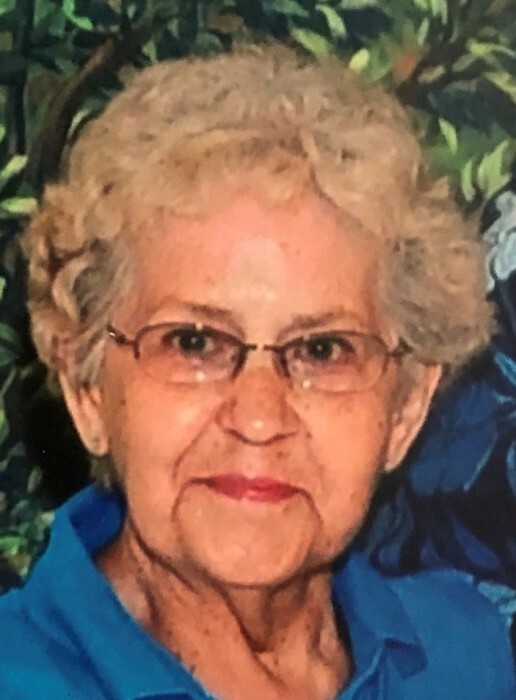 Ruth A. Coppess, 84, of Decatur, IN passed away on Monday, March 25, 2019 at the Hospice Home in Ft. Wayne, IN. She was born on October 21, 1934 to the late Harry S. and Mary L. (Archbold) Faus. On December 31, 1953 she married Richard Coppess. He passed away on February 27, 2006. She was a Homemaker, worked as a waitress at Coppess Corner and Dollar General in Berne, IN. Ruth is survived by 1 son, Franklin R. (Kathy) Coppess of Ft. Wayne, IN; 1 daughter, Karen A. (Chris) Loshe of Decatur, IN; 1 sister, Marie Wygant of Bluffton, IN; 2 sisters in law, Sandy Faus and Carolyn Faus, both of Bluffton, IN; 3 grandchildren, Michelle Coppess-Turner, Jay Coppess, Ty Loshe and 6 great grandchildren. She was preceded in death by her husband, Richard, 4 sisters, Pauline Ripple, Maxine Cook, Betty Graham and Janet Ripple and 8 brothers, Basil, Harry, JR., Brooks, Bob, Max, Dean, Gene and Don Faus. A Funeral Service will be held on Friday, March 29, 2019 at 12:00 Noon, also at the Funeral Home with visitation from 10:00a.m. -12 Noon. Chaplain John Follett will be officiating. Burial will follow at the Ray Cemetery, Monroe, IN. In lieu of flowers, memorials may be given to A.C.C.F. Cancer Fund or Visiting Nurse and Hospice Home in Ft, Wayne.